The U.S. Environmental Protection Agency will continue to prioritize Superfund clean ups, transparent and effective risk communications, and listening to communities said EPA’s Acting Administrator, Andrew Wheeler. Wheeler met with EPA Region 8 staff and employee leadership on Monday in Denver. Afterwards, he sat down with Western Wire to discuss his Region 8 tour of Superfund sites and the agency’s need for better risk communications with communities affected by decades-long clean-up efforts and for communities just beginning to deal with new environmental issues. “I had a really good meeting with our Region 8 staff today. 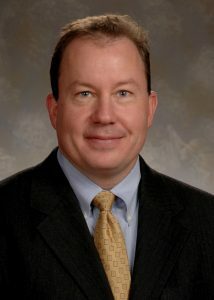 We have a lot of hard-working, dedicated employees in this region and I think they’re making a difference,” Wheeler said. EPA’s Region 8 serves Colorado, Montana, North and South Dakota, Utah, Wyoming, and 27 Tribal Nations. Wheeler has embarked on an ambitious tour of the regions over the past few months but says there is a lot more to do. “This is the sixth region that I’ve visited since I’ve joined the agency back in April. I’ve got four more regions to go. I’ve been to two of our labs. I think it’s really important to meet with career employees at the agency and to hear their questions and what they’re thinking about and what concerns they might have,” he said. Wheeler became EPA’s Acting Administrator after former EPA head Scott Pruitt announced his resignation in July. “I think [the trip] has gone really well,” Wheeler told Western Wire. Wheeler toured the Butte and Anaconda Superfund sites in Montana on Friday. “I think we’re making a lot of progress in both communities. Toured the facilities, saw it firsthand. Also met with the community action groups in both communities which I think is really important for the administrator to do,” Wheeler said. He said the most important part was interacting with the affected communities and listening to their concerns firsthand. “They were happy with some of the things we said and they had some criticism as well, but it’s important for me to hear from them what their issues and concerns are as we try to come up with the final remedies for both of those sites,” he said. Wheeler pushed back on accusations that he would downplay or shift course from Superfund prioritization. Managing and implementing at Superfund sites was a recurring theme of his trip, Wheeler said, as well as how the internal prioritization of the sites themselves would take place. “We got it cleaned up, the responsible parties came to the table. We need to end the litigation here and start cleaning up,” Wheeler said. Demonstrating progress will help spur further work, he argued. “We need to show that forward movement on sites so that we can hopefully generate forward movement on additional sites,” he added. “I went and visited with two different tribes on one of their reservations and then met with another tribe. On the two Superfund sites in Montana, we’ve looked back and figured out that I was the first EPA Administrator there since 1990—Bill Reilly—to visit those two sites. And for the tribes, the CSKT [Confederated Salish and Kootenai Tribes] tribe, they told me they looked back in their records and they don’t think an EPA Administrator had ever been to the reservation,” Wheeler said. William K. Reilly served as EPA Administrator under President George H.W. Bush from 1989 to 1993. Elected officials and tribal leaders in Montana and Colorado thanked Wheeler for visiting and listening to the concerns of affected communities, including water quality issues and invasive wildlife. “On behalf of the Blackfeet Tribal Business Council, we would like to express our gratitude to the Acting EPA Administrator and his staff for EPA’s efforts to partner with our tribe to address our unique environmental concerns and for the sincere commitment to strengthen this relationship,” said Timothy F. Davis, Chairman of the Blackfeet Tribal Business Council. U.S. Senator Steve Daines said Wheeler’s visit meant the EPA was intent on not just showing up but getting the job done on Superfund sites like Butte and Anaconda. “Thankfully, under this administration and Administrator Wheeler, we’re seeing less talk and more action, and that’s a good thing,” Daines said. He added that working to “finalize cleanup of the Butte and Anaconda Superfund sites for the sake of the impacted communities and families, the prosperity of the local economies, and most importantly, human health and the environment” was paramount. Officials in Colorado emphasized the collaborative efforts undertaken by EPA and state agencies to great effect. “Touring both sites today was a reminder of how state and federal agencies can work together to benefit the public. It was combined effort that turned these two Colorado Superfund sites — covering more than 22,000 acres — into wildlife refuges and hiking trails the public can enjoy,” said Martha Rudolph, Director of Environmental Programs at the Colorado Department of Public Health and Environment. “[Y]esterday I went to both [Rocky Mountain] Arsenal and Rocky Flats to see Arsenal . . . I was on radio show this morning and they asked me, ‘what was the one striking thing I saw?’ and I said it was the wildlife. I didn’t realize the abundance of wildlife at this former Superfund site,” said Wheeler. “The use of the property, that we’ve now turned it into, and the same for Rocky Flats. The housing development that comes right up to [it], I actually want to buy one of those houses and retire there,” Wheeler continued. “It’s just a beautiful view with the ten-mile trail that wraps around the site, and to think those were two of the most polluted sites in the country and they’re now wildlife refuges? It’s just incredible,” he added. The trip was not only an opportunity for Wheeler to visit impacted sites across the west, but for EPA’s Region 8 Administrator, Doug Benevento, to continue reaching out and responding to local communities, one of his top priorities. “I appreciate the opportunity to work with the local officials, leaders, and individuals we met over the weekend in Butte, Anaconda, and Denver. They are passionate about the West and the future of their communities,” said Benevento. In April, Benevento expressed frustration with the backlog at Superfund sites and his commitment to push forward on completing projects in a more timely manner. Benevento said that this past weekend’s visit reflected that pledge. “The sites Administrator Wheeler and I visited reflect EPA’s renewed commitment to making our Superfund program a priority. We will continue to work with our partners to deliver effective cleanup actions that secure public health and revitalize our communities,” he added. Benevento and EPA Region 8 held a two-day community engagement on per- and polyfluoroalkyl substances (PFAS) in early August. Wheeler noted that PFAS issues have become a key issue recently, and the agency is readily embracing the need to listen to affected communities. After gathering that information, Wheeler said, the agency would look to issue guidelines and regulations targeting PFAS. Wheeler was adamant that the agency’s recommendations would be based on community input, examination of other agency actions at the state levels, and the EPA’s own scientists. 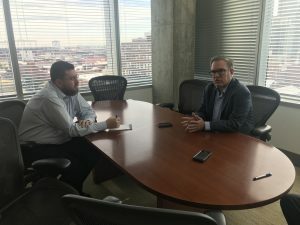 Whether visiting Superfund sites or discussing PFAS-impacted communities, Wheeler that a key to his tenure at EPA would be in transparent and effective risk communication between the agency’s employees at all levels and the public which turns to the EPA for guidance, certainty, and most importantly, honesty. Wheeler told Western Wire that the agency has punted or been unclear in the past regarding effective risk communication, something he hopes to turn around quickly. On the eve of the anniversary of the attacks of September 11th, Wheeler pointed to his predecessors’ inability to adjust their findings and provide accurate and timely information in the aftermath of the impact in New York City. “When a large incident occurs like 9/11 and the air quality around the apartments and condos around ground zero . . . at that point I was the Clear Air subcommittee staff director and we had oversight over both FEMA [Federal Emergency Management Agency] and the Clean Air Act, and the EPA put out some information on the air quality in those apartments, the people moved back in, and it [information] ended up not being correct,” Wheeler said. Other incidents across the country showed EPA’s communications were not where they should have been, Wheeler said. “When we had a large incident like that, like Gold King Mine here in Colorado, Kanawha River in West Virginia, Flint, Michigan—that’s when the American public turns to the EPA for information on what is the risk this large incident created or caused. And we have to speak very clearly to the American public as to what is the risk that they face, their families face, their children face,” Wheeler said. The role of the EPA, according to Wheeler, is ensuring that the public receives the best data and latest information, especially about risk evaluation. Oftentimes people who live near a site may be worried about a risk that is not important and they may not be concerned about a risk that actually is important,” Wheeler said. Wheeler said his agency would benefit from a bit of self-reflection and not be afraid to admit when it is wrong.